InterContinental Hotels Group has sign a deal for Hotel Indigo Stratford-upon-Avon, UK. The hotel will operate under a franchise agreement with St James’s Hotel Group and open in early 2018. Stratford-upon-Avon, a medieval town in England’s West Midlands, is the birth place of William Shakespeare. It has since become one of the most important tourist destinations in the UK; attracting thousands of domestic and international visitors from across the globe. 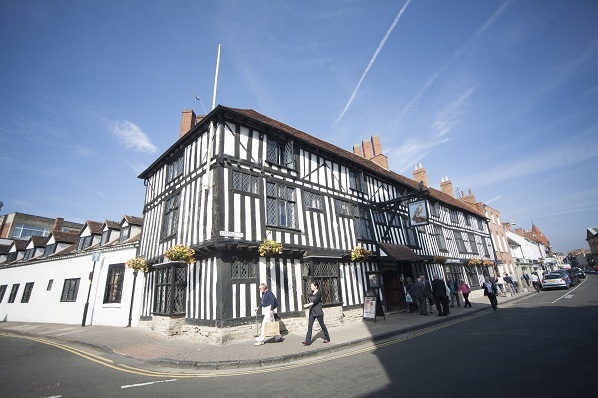 Located on Chapel Street in the heart of Stratford-upon-Avon’s town centre, the hotel is within walking distance to the popular Shakespeare Theatre, nearby shops and Stratford-upon-Avon Train Station. It is also only a thirty minute drive from Birmingham International Airport. With easy transport links, Hotel Indigo Stratford-upon-Avon is the perfect place for a short break. The 92-room property will be rebranded from the Falcon Hotel, a historic building full of character and old charm, and will feature a restaurant, bar and lounge, as well as a gym, and a meeting room. Anna Corkill, development director for the UK & Ireland said: “We’re delighted to have signed Hotel Indigo Stratford-upon-Avon with long standing partner St James’s Hotel Group. “The boutique hotel market is the fastest growing segment in the industry and our pioneering Hotel Indigo brand is going from strength to strength in the UK.